No-one cares any more about how well you can edit with a razor blade, or cue up a song in just the right way so it powers out of the jingle. In fact, many of the skills I mastered as an acned youth are now as useful as being able to thatch roofs. There’s now a new key skill now though: mastering voice-tracking. There’s doing it – and there’s doing it well. Those who proudly boast about not being able to VT shows puzzle me. Let’s instead admire and respect those who excel. We presenters are often told ‘think of the listener’. That’s challenging enough without having to imagine one who might be listening one foggy night next week. You have both a time and a place to envision – whether you’re despatching a stack of shows from an off-air studio – or sat at home next to a pile of washing. In a sense, that’s great discipline. When you record a show for the weekend, you really have to summon up the sense and mood of the day to come, and imagine what your listener will be up to. It’s a train of thought that too many live presenters find it easy to ignore. In a sense, with VT, you can only put the listener first. For the inexperienced – VTing feels how recording a full show in real-time used to feel, but worse. How well have you fared? Well, sitting and listen to your own programme being transmitted every day in real time rather defeats the object, but it’s good to have it on sometimes as you lead your normal life. You’ll know whether it fits – better than any live broadcaster ever can. Hard-working veteran presenter, David Hamilton, used to present one show live and then cheerily pop to the studio next door to VT five more. Even in his seventies, he’d mastered the art of being just bright enough to echo the songs he’d back-announced. He talked too about leaving the slight fluffs in. “It makes it natural’. Sounding natural and getting the pace just right, even if it is the seventh time you’d had a bash at the same link is a challenge. Preparation is key. Opening a dry mic and recording a VT link without a direction in your head is impossible. VT radio also demands perfect operational programme management too. There’s no room for the sort of stations where three people issue contradictory emails to presenters about what’s happening on the station – and what needs talking up and how. Some days, links are flawless, and a show is dispatched within minutes. Other days, one specific link can feel like a loose tooth you keep wobbling with your tongue even though it hurts. The difference with VT is that the listener doesn’t hear the version of the link that wasn’t very good. And – unlike live shows – if it’s one of those days when it’s just not happening for you, you can just choose not to bother – and come back later. In some scenarios, content can be updated with ease – and that’s a powerful weapon. Matt Deegan who runs Fun Kids, wholly voice-tracked with Zetta, says “Generally presenters are recording between 3 minutes and 3 days before their shows go out”. In the snowy March weather, many stations suffered challenges, with one small station puzzlingly shutting down because no-one could get in. Handled well, a station which can handle remote voice-tracking can be the most local, most informative in the worst of conditions. Without the distraction of a live show, you can just carry on digging for topical information until you’re ready to insert a link. As a former jock, I’d readily concede that nothing can beat the kick you get from a live show. But radio is not about you – it’s about the listener. Let’s raise a much-deserved cheer for the people who really master voice-tracking – and for Voicetracker Hub. 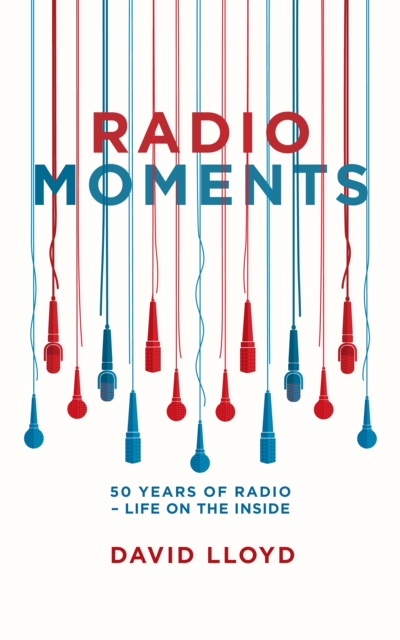 Grab my book ‘Radio Moments’: 50 years of radio – life on the inside. A personal and frighteningly candid reflection on life in radio now and then. The drama – the characters – the headaches – the victories. 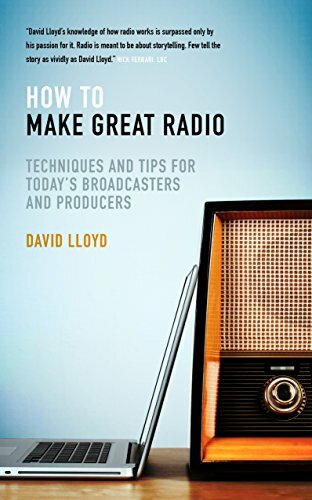 Also ‘How to Make Great Radio’. Techniques for today’s presenters and producers. Great for newcomers – and food for thought if you’ve been doing it years. This article was first published on http://voicetrackerhub.com.